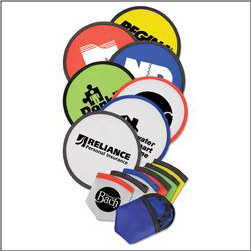 Order custom Imprinted Logo on Folding Frisbee Flyers – great to handout or giveaway at a kids event, community get together, church and school fundraisers. One of the most popular event giveaway items to promote exercise and wellness. Great for children’s events, school boosters, and more. Order your printed folding flyer discs today! A great office giveaway for dentists, orthodontists, and pediatrician’s offices. 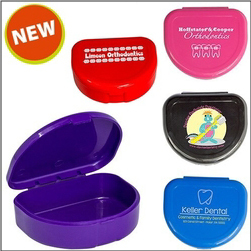 Order custom Imprinted Retainer Cases for your dental or orthodontist office / business. These popular retainer cases are Made in the USA and have a quick turnaround time. A must for Orthodontists – these cases come in black, blue, pink, purple, and red. Order your practice Printed Retainer Cases today from Colorado Promotion.